We deliver an extensive network in the technology-, mindfulness- und media industry. Here is a selection of our partners. GÜNTSCHE CONCEPTS offers consultancy and advisory in the areas of Mobile Marketing, Digital Strategy, Product Definition, Project Management und Cooperations. Founder, Lilian Güntsche, ist also the founder & CEO of THE DIGNIFIED SELF. Mobile zeitgeist is the leading online magazine for Mobile in Germany. Founder Heike Scholz, is partner and also part of the core team of THE DIGNIFIED SELF. 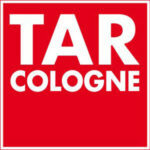 TAR COLOGNE offers competent and friendly support in web development. Thomas Reinert, Founder of TAR, is also part of THE DIGNIFIED SELF team and programmed the website. 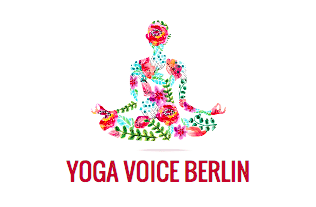 Kara Johnstad, singer-songwriter, visionary and mentor, is Founder of VOICE YOUR ESSENCE and Co-Founder of YOGA VOICE Berlin. She partners with THE DIGNIFIED SELF in the areas of the voice and presentation. 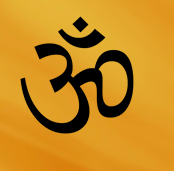 Vasishta Yoga is a Yoga and meditation school with regular offers, retreats and workshops for more mindfulness and happiness. In cooperation with the Eberswalder Tanzsalon Zippel Vasishtha Yoga also combines Tango-Yoga-courses. Mindset Camp is an annual meeting point for Entrepreneurs at inspirational venues. Founder Marc Schmöger has a wide network and combines with the Mindset Camp offtime and no-agenda feelings with inspiration, great people and sunshine. Shift 2020, founded by Digital Transformation expert, author and speaker Rudy De Waele, has created a new Conference concept. called “IoT Shifts” and “IoT Transformation Retreats”, which combines Yoga with Technology-Workshops & keynotes. Shift2020 is strategic partner of The DIGNIFIED SELF. Founder Lilian Güntsche will be part of the IoT Shifts Conference 2015 as a speaker. Popagenten is a music publisher and music advisor. Founder B.oa Myller, is helping THE DIGNIFIED SELF with the editing and post-production of the podcast series. Kirstin Kailbach is Coach, Personal Advisor and Business Mentor and supports in job related and personal matters by creating a gentle flow that combines success and happiness. Kirstin is a partner of THE DIGNIFIED SELF in the area of consultancy for businesses and individuals that want to experience success entirely. Springer Gabler is a leading German publishing house, focussed on classic and digital media in the field of economics. Springer Gabler is the publisher of the first book by Lilian Güntsche, CEO and founder of THE DIGNFIED SELF, which will be released in 2016. MARKENGLANZ consults B2C- companies, which work in fashion, lifestyle, retail and entertainment, as well as artists and webstars in the strategic brand development and in branded entertainment. THE DIGNIFIED SELF and MARKENGLANZ cooperate in the areas of multimedia, brand positioning and communication.